In Venezuela, the story seems to repeat itself. There have been numerous social movements and mass protests during the life of the current Venezuelan regime that now begins its 21st year. However, despite their efforts, the opposition has never succeeded in toppling the regime. The governments of Hugo Chavez and now Maduro have resorted to using multiple tactics to survive. These include gaining time by talking about futile dialogues, electoral fraud, intimidation of the opposition, paramilitary and other types of violence, and of course, a strong alliance with the military. So far, in all cases, the popular protests calmed down and the opposition returned to their senseless internal fights. Maduro counts on such a scenario in this round of protests, as well. It is the military that serves as the most important source of support for the Maduro regime. Contrary to expectations, there have not been major desertions from the armed forces so far. In fact, at this very moment, Venezuelan soldiers are blocking the passage of humanitarian aid through the Colombian-Venezuelan border. The government and its military elite prefer to see their people starving rather than face the public embarrassment of a scenario where the international community saves the Venezuelan people from hunger and physical devastation. However, such an attitude is likely to further deepen the regime’s crisis of legitimacy. 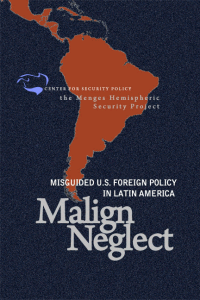 What is urgent now is to break the military’s alliance with the Maduro regime. 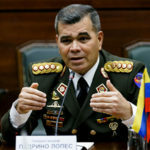 The key is to apply pressure on the military elite but particularly on the Secretary of Defense and former chief of the Venezuelan armed Forces, Vladimir Padrino Lopez. This man is the strongest and most valuable asset in the hands of the regime. In the past Padrino Lopez, in his capacity as chief of staff, persuaded Nicolas Maduro to accept the electoral results of the Venezuelan national assembly that gave the victory to the opposition in December 2015. That act made Padrino a hero, venerated by important sectors of the opposition. Interestingly enough, Padrino participated in the coup attempt perpetrated by Hugo Chavez against the constitutional government of Venezuela in February 1992. 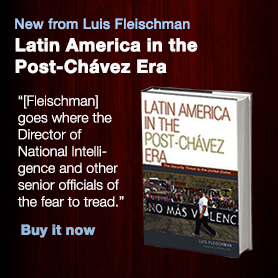 He also stood by Chavez during the coup attempt against him in April 2002, and he directed the repression against the protests that took place in 2014. Despite all this, the perception of the general radically changed. Now many of those who saw him as an evil part of the Chavista apparatus see him as a window of hope since it was Padrino who had the power to convince the power-sick and stubborn Maduro to recognize the victory of the opposition. Padrino was then perceived as a reasonable person who acknowledged the will of the people. Since then, understanding the potential threat that Padrino could present to the regime, Maduro proceeded to co-opt the general. Thus, in July 2016 Maduro named Padrino Minister of Defense and placed him in charge of the cabinet and of food distribution. Padrino Lopez became not only the chief of the army but also in charge of the most crucial administrative apparatus of the government; the main person tasked with the very serious crisis of hunger and scarcity Venezuelans were and are facing. As the United States increased sanctions against the Maduro regime and key individuals associated with it, Padrino Lopez was not included in that list precisely because he was seen as the hero that enabled the victory of the opposition in the national assembly. To confirm that feeling, The Washington Post quoting a U.S intelligence source reported on January 9 that Padrino asked Maduro to resign. However, that report seemed to have been misleading at best. As of this writing, Padrino has not been sanctioned. Padrino and the military are not likely to abandon Maduro. So far only one Air Force general has joined the opposition. Now is the time to apply full sanctions on Vladimir Padrino as well as all kinds of threats such as the possibility that he be tried in an international court for crimes against humanity. Pressure on Padrino cannot be soft or based only on persuasion. It has to be accompanied by something that really frightens him. Remember, this general is in charge of a mafia state associated with drug trafficking, human rights violations and rogue elements that undermine the national security of the United States as well as the hemisphere. This time with the international community supporting the opposition and a mass movement unified around one leader, and a U.S. administration actively seeking to remove the regime, this momentum cannot be lost as has happened with previous movements. It is true that some military officers have deserted but this is not an indication that there will be any movement in the military. Many officers are unhappy with the situation but the military after all is a hierarchical organization and these officers would not dare rebel. The key is in the hands of the top echelons, just as it was in the Philippines. In the Philippines, as soon as the secretary of Defense and the army chief of staff deserted, the government of Ferdinand Marcos collapsed. Now is the time to impose heavy economic and other types of sanctions on Mr. Padrino and anybody else in the top military echelons without exceptions. The tactics of soft persuasion and friendly calls to the military have now been exhausted.